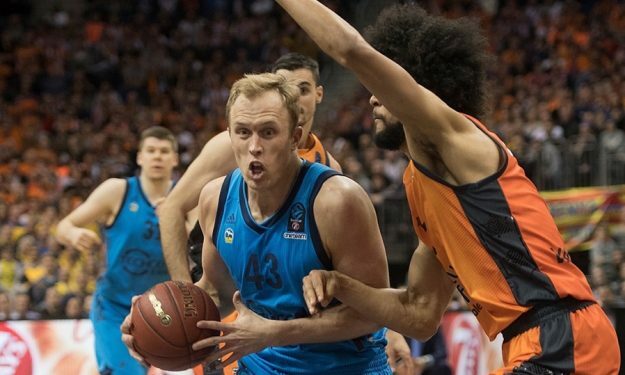 Sikma scored 7 of his 15 points in overtime, including an important three-pointer, and key free throws that sealed the win. Sikma also pulled down a game-high 6 rebounds, dished 4 assists, and had 1 steal and 1 blocked shot, accumulating a performance index rating of 20, the highest on ALBA. The highest PIR in this game, 21, belonged to two Valencia players, Sam Van Rossom and Fernando San Emeterio. Van Rossom netted a game-high 22 points on 6-for-8 three-pointers, along with 3 rebounds and 3 assists, while San Emeterio scored 16 points, drew 9 fouls and made 10-of-12 free throws.